Another one of those movies that has been kept on the shelf for one reason or another. The film was made in 2011 and is rumored to release on 6/7/13. I say rumored because I think that the original intention was to release the film in 2011, but it continues to be pushed back. So, who knows, maybe it will be pushed back from being released again. Movies like this are always intriguing to me because I bet everybody involved in making the movie is just beyond angry that it has not been released yet. I know that I would be. I have a feeling that this film has not been released yet partially due to the fact that it is a risky movie to make. The movie is about a teenage girl duo hit man squad. With all of the violence going on in our world, it’s probably pretty hard to release a movie about teenage girls who kill people. With that said, the film looks tastefully made and has a good cast which includes Saoirse Ronan, Alexis Bledel, James Gandolfini, Danny Trejo, Cody Horn, and John Ventimiglia. It is written and directed by Geoffrey Fletcher. The film has sparked my interest enough to want to see it, that is if it ever gets taken off of the shelf. 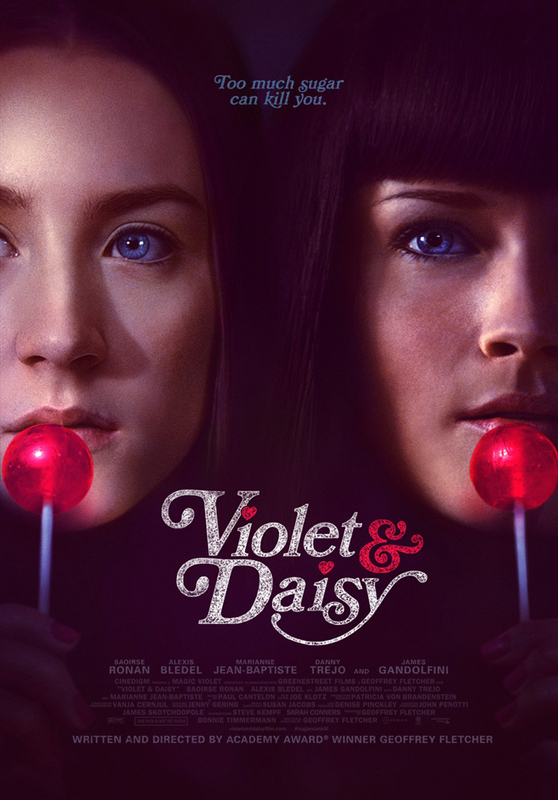 Posted on May 8, 2013, in Previews of Upcoming Movies and tagged Alexis Bledel, Cody Horn, Danny Trejo, Film, Geoffrey Fletcher, James Gandolfini, John Ventimiglia, movie, Saoirse Ronan, Trailer for Violet & Daisy (2011), Violet & Daisy (2011). Bookmark the permalink. 2 Comments. Looks like an interesting film, thank you for bringing it to my attention. No problem Vinnie! I just learned about it myself. Thanks for reading!